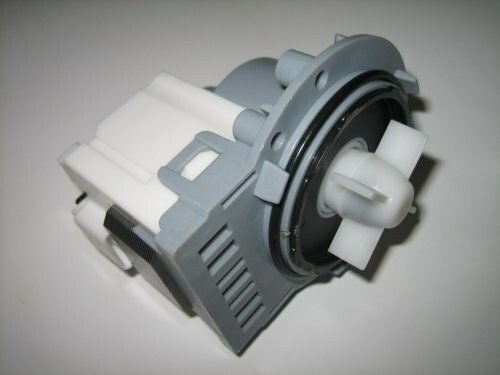 One of the weaknesses of many modern washing machines is the pump, which means the drain pump. If he fails, the machine will cease to pump water or to recruit her due to the fact that it can not drain the old. Call the master at home to repair the drain pump is very expensive, so it's easier and cheaper to repair pump with their hands. Besides, it does not require any special equipment. To start unplug the washer and drain it all the water. This can be done if you remove the filter or lower the drain hose to the floor, after putting a container under it. Not to pour water on the floor, the machine needs a little tilt back and expose the filter to a large bowl. This procedure is best done together, one will hold a typewriter and another to drain the water. Remember that this method is not suitable for those cases when the reel is hot water. If there is at hand a drainage tube, for draining water from the drum can take advantage of it. There is also a way of pumping water directly to the tub through the drain tube. But this method can be used only if the washing machine is a function of the door opening with a drum full of water. After the water is fully drained, remove the back wall of the machine, attached to the screws. Look in the corner of the drain pump, which hose goes gray. Disconnect all wires on the connectors and Unscrew the pump from the hull of the machine. To do this, remove the clamps and steps. Now you need to disassemble the drain pump itself. To do this, Unscrew the screws used for attaching the snail to the pump body of the pump. Remember or mark with a marker the position of the slider relative to the volute and remove the engine with the impeller of the cochlea. Then, using a sharp knife, cut each blade of the impeller to one millimeter. This way you reduce the impeller diameter. It is important not to overdo it. Otherwise will significantly drop the performance of the drain pump. Now you can assemble everything in reverse order, then do a trial run the washing machine and check for leaks. Due to the fact that during work you will have to work with the plastic parts, should proceed carefully. Otherwise, you will have to buy a new drain pump.